You wouldn’t think Dallas, a city deeply rooted in tradition, is becoming synonymous with creating new markets and upending old ways of doing things. But sure enough, that’s exactly what’s happening. The city’s pro-business environment, talented workforce, affordable real estate, and lack of state income taxes have always made it a magnet for traditional businesses like energy and finance. Other industries often felt it wasn’t worth their time to try and infiltrate what was seen as an Old Boys’ Club — but that antiquated perception has changed. Here’s a look at why that is, plus explanations from some of the top CEOs and entrepreneurs in the city about the ongoing transformation. “The Big D” as many call it is usually absent from discussions on which city will be the next Silicon Valley, but perhaps it doesn’t need to talk that talk. It has quietly put itself on the forefront of technology, now ranking as one of America’s fastest growing tech centers. Dallas is business wealthy, ranking second in metro job creation (behind only New York). Historically that was because of the aforementioned traditional industries like oil, cotton, and cattle. But now, Dallas now has the 7th highest concentration of tech jobs in the country; in fact, it’s one of just four cities that have regional U.S. patent and trademark offices, a nod to the number of patents produced there. 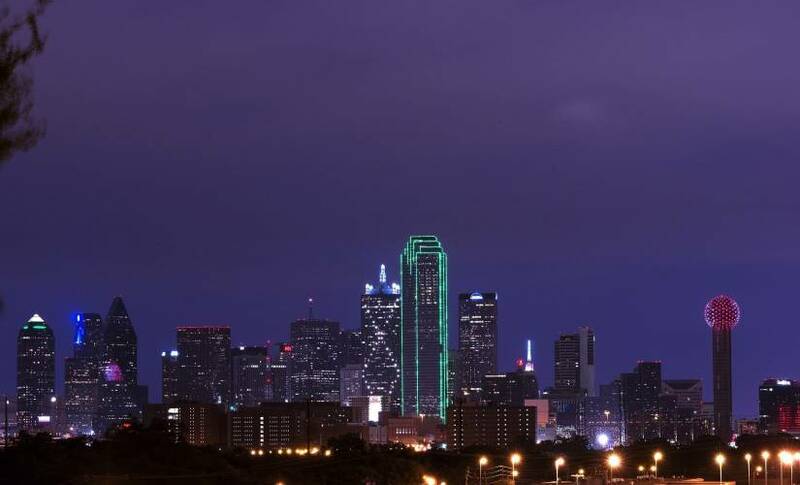 Today Dallas is home to several world-renowned universities, 22 companies on the Fortune 500, 4 major sports franchises, and one of the biggest and busiest airports in the world. Amazon is even famously considering it to be home of its new HQ2, or second headquarters. Other tech companies, too, are digging in — companies like Facebook and Salesforce. To that end, Salesforce is bringing its popular Business Growth conference to Dallas on March 22; anyone curious about using technology to connect systems and serve customers can attend for free. But it’s not just about the well established enterprises. Dallas is also home to a burgeoning field of startups and fast-growing businesses. One exciting development: Austin-based accelerator Capital Factory recently joined forces with the Dallas Entrepreneur Center (DEC) to grow Texas’s startup and investor profile. The DEC’s Trey Bowles believes Dallas’s underrated tech community has a lot to offer. One new founder is former NFL standout Darren Woodson. Woodson, who gave every snap in his career to the Cowboys, grew up in Arizona, but chose to stay in Dallas when he left the NFL. “Dallas gave me an incredible football career, and now I try to give back to the city in my second career as an investor,” Woodson says. Woodson concentrates on investing in new companies and startups that give a boost to the local economy. Today Woodson is the founder and CEO of CounterFind, a company that sells patented software that recognizes and eliminates counterfeit merchandise online. OK, but do you have to have to have name recognition to start a business here? “Not at all,” says Clarisa Lindenmeyer, Head of Strategy at Launch DFW. Today technology companies abound in Dallas. Consider travel logistics maven MUV, which began in Dallas to disrupt ground transportation and logistics. CEO Mark Shrayber says Dallas was an easy choice. Lance Auburg, a 4th generation Texan, has been witness to the transformation of Dallas and the entire state. Auburg’s family has been influential in the agricultural sector for generations, but recently Auburg has seen the opportunities presented by the influx of tech. It’s a new line of thinking that has transformed even the oldest of industries here.